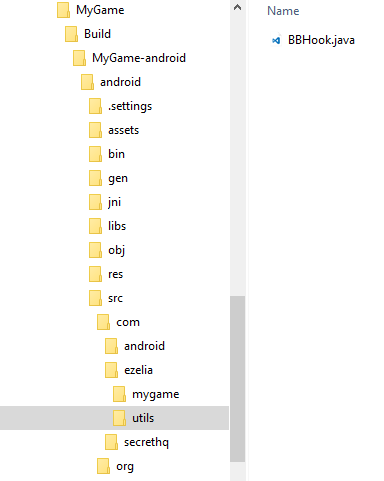 In this article we will add a hook layer to Buildbox Android export. 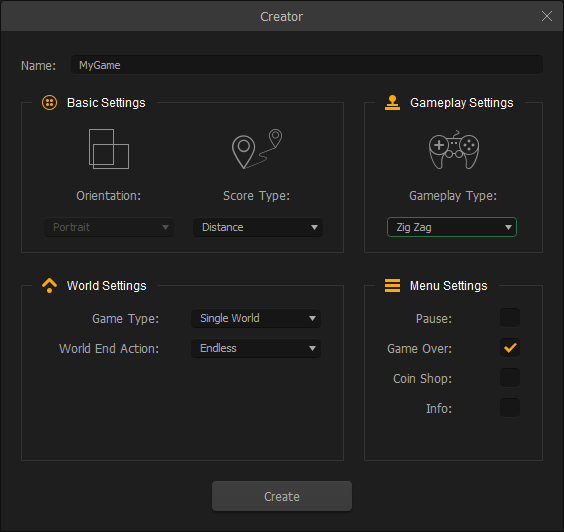 This hook layer will later give us the possibility to add custom services to Buildbox games, such as game analytics, achievements, multiple leaderboards, and even Everyplay video sharing service ! What's a hook layer, why do we need it ? Buildbox don't provide any official way to hook events from code, except for custom ad networks. The hook layer will make it possible to detect some important game events and allow us to execute custom code when they occure. such events are important to detect : let's say you want to unlock an achievement depending on the score value, for this you'll need to know when the player loose (gameover event) and what is his score value. 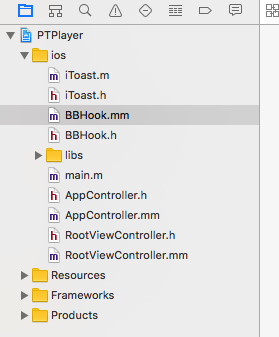 Limitations : Please note that this hook layer is a "hack", it means that it use unofficial event detection code and could be broken by future Buildbox releases if the Buildbox development team decide to change the code behaviour. the present code was tested with buildbox 2.1.x and 2.2.x . First we'll create a buildbox project to which we'll apply the modifications. 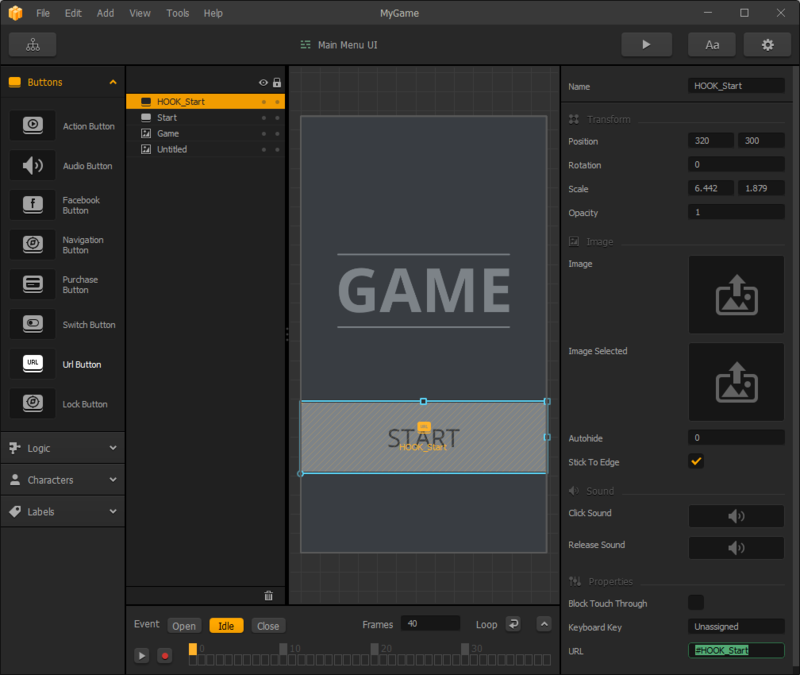 Start buildbox and click "Create New"
Switch to the Game Mind Map view and double click "Main Menu UI"
Add an "Url button" and put it on top of the start button, resize it to fit exactly the size of start button. set Url value to "#HOOK_Start"
set the name to "HOOK_Start"
Explanation : Our hook layer will use url buttons to trigger custom actions, and to distinguish real url buttons from the hooked ones, we'll prefix the hooked ones with "HOOK_" prefix. Unchecking "Block Touch Through" will result in triggering both the Url button and the start button. so when the player will click on start button, he'll actually also trigger url button. Our hook layer will detect the url button click, and from the custom URL "#HOOK_Start" it'll know which custom code to execute. Note : you can use an already modified version of PTServicesBridge.java available here, but this will break any custom code you already made to your PTServicesBridge.java file. if you are using the default buildbox v2.x export, you can safely use the provided version. 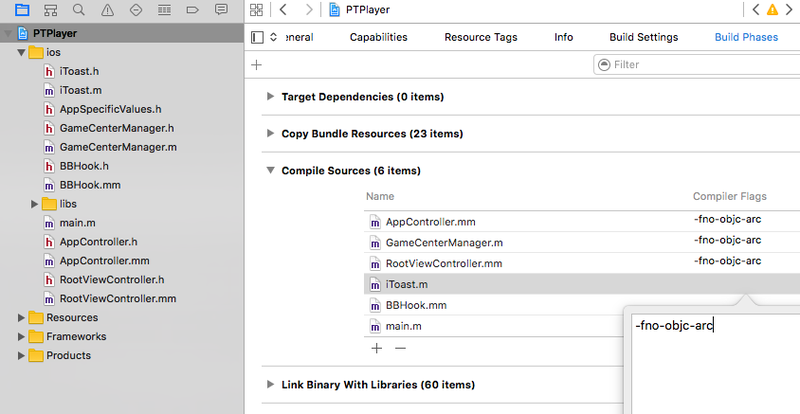 Note: The above code is triggered when the player click on a Url button with url value set to #HOOK_Start. Build and run your project. you'll notice the toast messages when clicking starting the game and on gameover.